Direct ownership means you, the farm owner, will purchase the system for your property and will own all of its electrical output. Direct ownership of a system makes sense for your farm, if you are able to raise funds for the cost of the project, can pay cash up front, or get access to specific state incentives and grants. 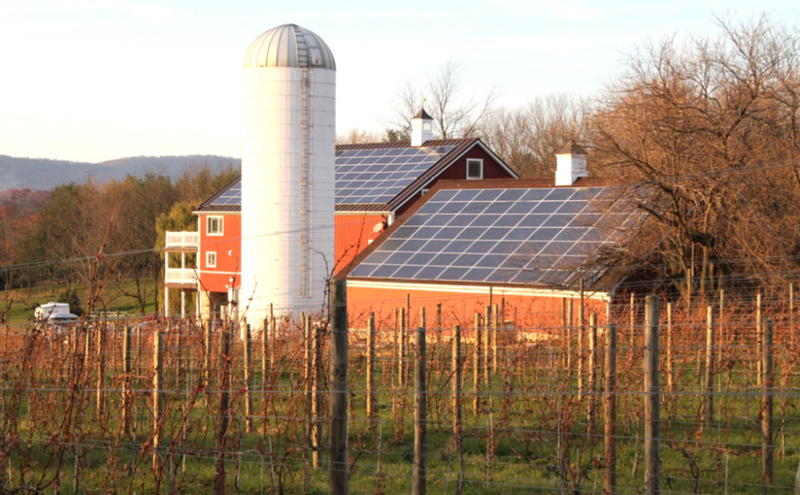 Under third-party ownership, a separate entity, such as a solar developer or a group of community investors, owns and operates the solar system on behalf of the farm. The agricultural producer then pays the third party for the monthly electricity produced by the solar system. In this scenario, the third party will take advantage of the federal tax credit and any additional incentives and can pass the savings on to the farm. Third-party ownership is only available in certain states. Find out where. The cost of a solar system depends on its size, location, market forces, and the availability of incentives and tax credits. Fortunately, farmers who want to go solar can get access to excellent funding opportunities. Accelerated Depreciation: The Modified Accelerated Cost Recovery System (MACRS) allows businesses to recover investments in assets through tax deductions. Businesses can deduct 85 percent of qualified solar equipment over a five-year period. To learn more about accelerated depreciation read this article from the Solar Energy Industries Association. Talk to your accountant about how best to manage the tax benefits of going solar. Rural Energy for America Program (REAP): This USDA program offers loans and grants for solar systems. REAP provides competitive grant funding and guaranteed loan financing to agricultural producers and rural small businesses for renewable energy systems or energy efficiency improvements. Agricultural producers with at least 50 percent of gross income coming from agricultural operations are eligible to apply for competitive grant funding and guaranteed loan financing through REAP. Competitive grants are available for up to 25 percent of total eligible project costs. Loan guarantees are available for up to 75 percent of total eligible project costs. Combined grant funding and loan guarantees are available for up to 75 percent of total eligible project costs. Solar farming brings benefits—and concerns—to the land – This article outlines some pros and cons of solar on farmland. Kreider Farms adds solar panels to chicken houses – Learn how one farmer in Pennsylvania powered 20 percent of his operations with solar. Exploration of solar power for the modern poultry farm – This resource guide comes from the National Poultry Technology Center. Solar Panels power poultry houses – America’s heartland – This video details a poultry farm powered by solar.